4 GREAT REASONS TO JOIN OUR WINE CLUB! 1. Members receive two great bottles of wine along with an informational newsletter & food pairing recipes with their wine. 2. Club Members always save 10% on everything and 15% on 6 or more bottles of wine. 3. Wine & beer tasting events are complimentary to club members, except for special events. Click here to view current and past wine club selections. A monthly club offering Club Members two bottles of premium wine from the finest wineries of the Northwest and California. There is no fee to join The Club. Simply fill out the membership form using our secure server Online, download the Membership Form, or stop by The Wine Alley. 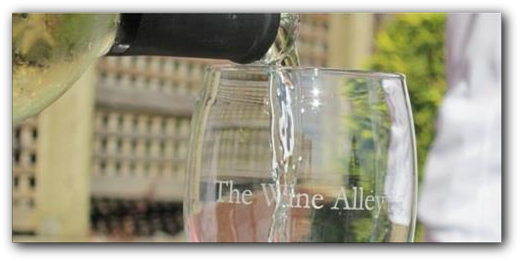 A membership may be canceled at any time prior to the 25th day of the month by writing The Wine Alley, Attn: Wine Club, 14276 SE 176th Street, Renton, WA 98058, emailing info@thewinealley.com, calling 425-271-4501. All terms subject to change without notice. Your credit card will automatically be billed on the 27th of the month prior to each selections release. We are not financially responsible for any non-sufficient funds charges to your account.